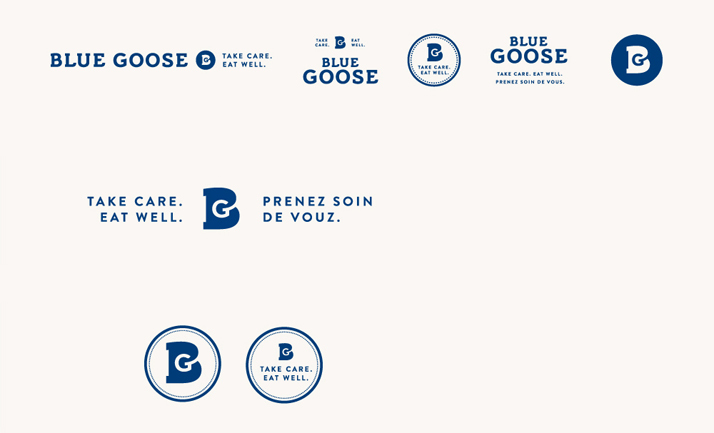 Identity and packaging design for a Canadian based organic & natural food brand. 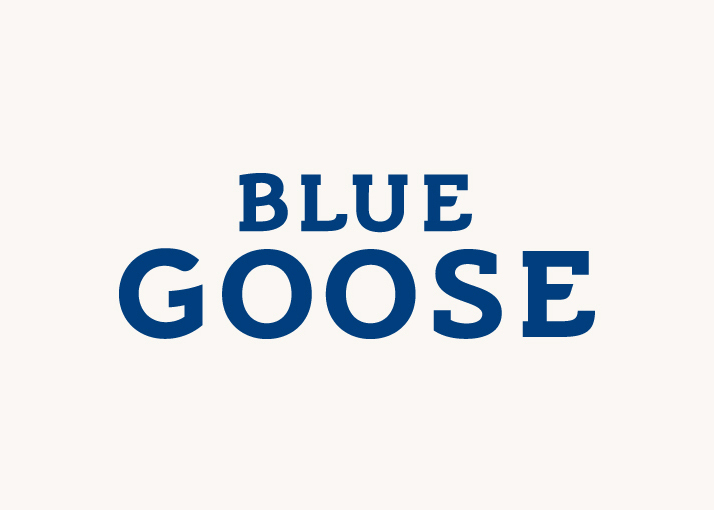 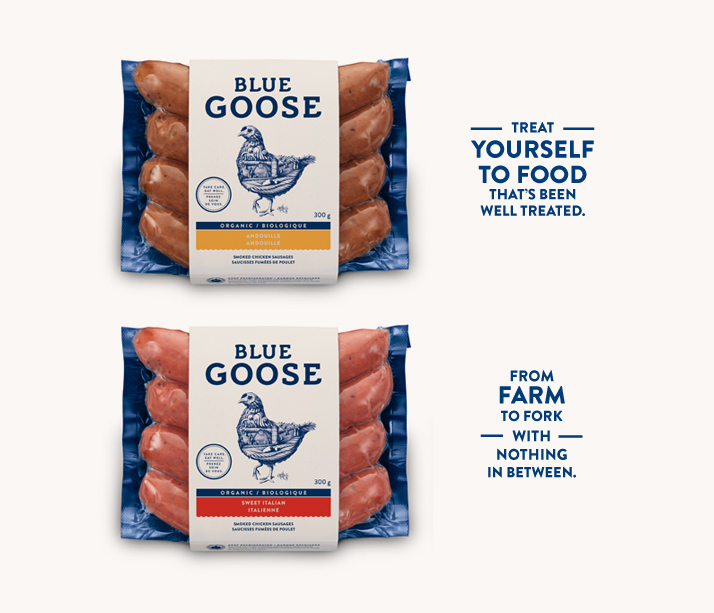 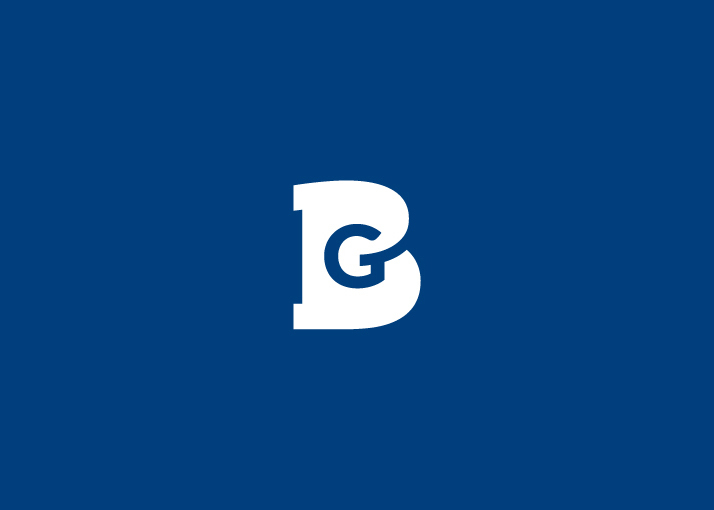 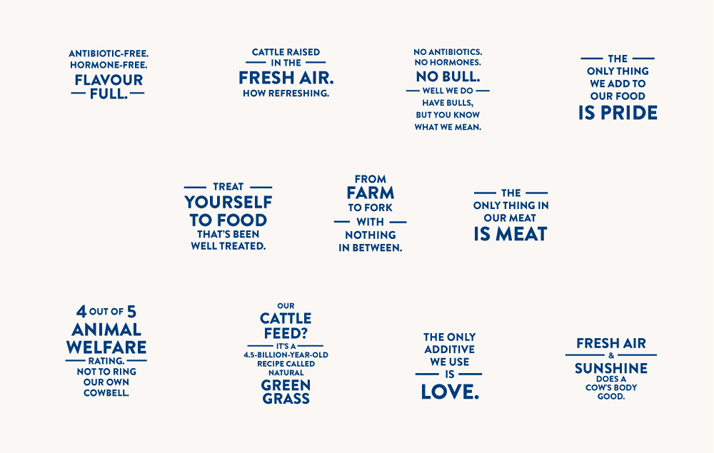 Blue Goose is a Canadian based organic & natural food brand that practices vertical integration and lives by the philosophy that if you look after your land and animals, they will look after you. 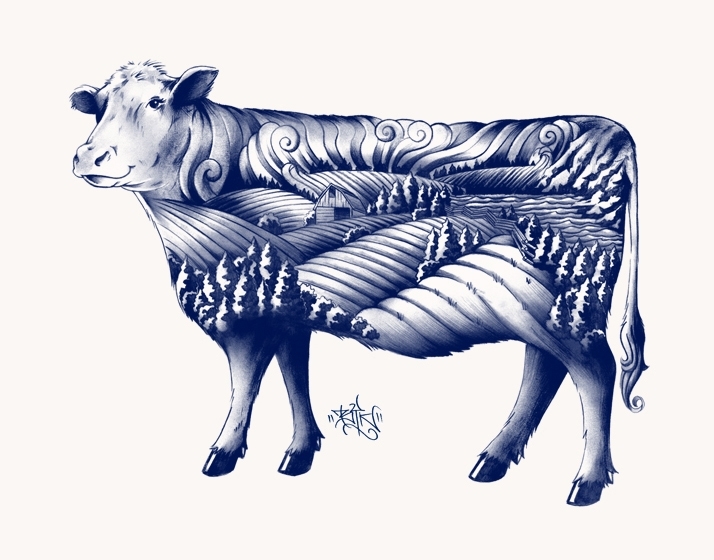 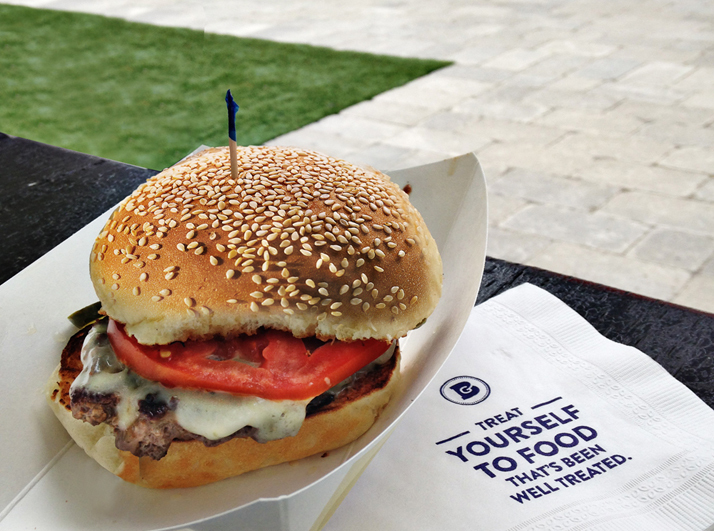 They currently produce organic and natural beef, chicken and fish for the Canadian market. 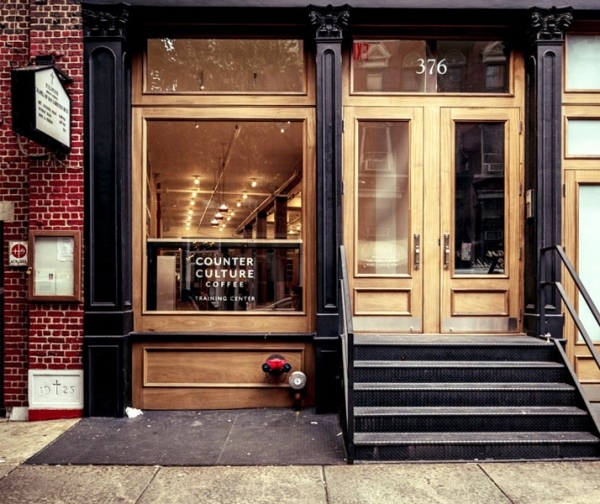 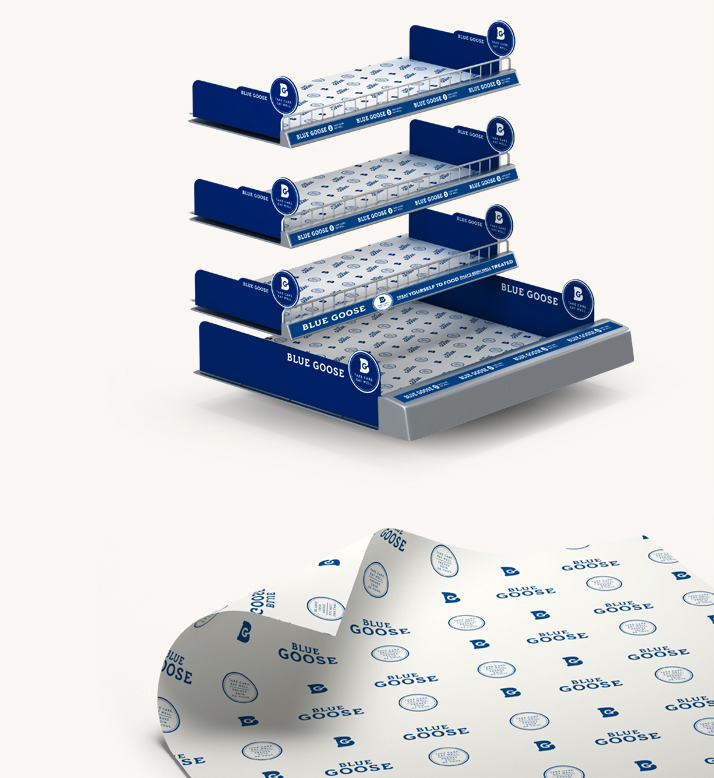 At Sid Lee we developed their brand platform as well as the identity and packaging design. 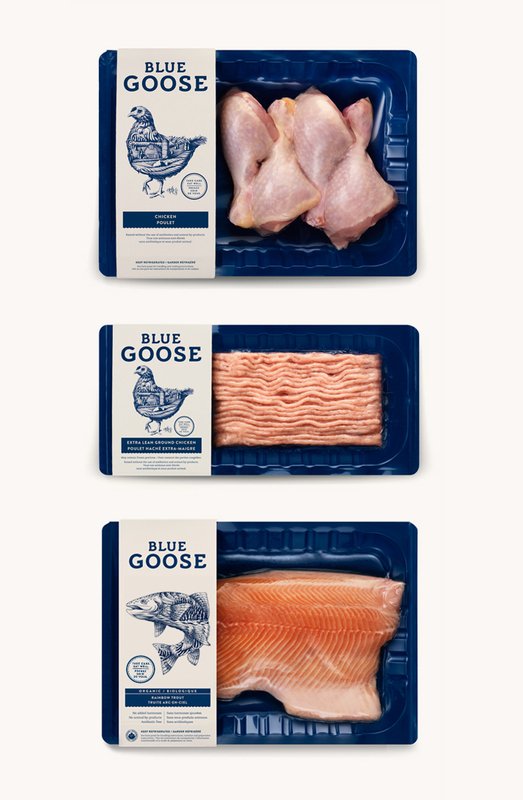 In developing the identity, we worked with LA based illustrator Ben Kwok to develop illustrations for the cow, chicken and fish that Blue Goose raises, and applied them to the packaging artwork.